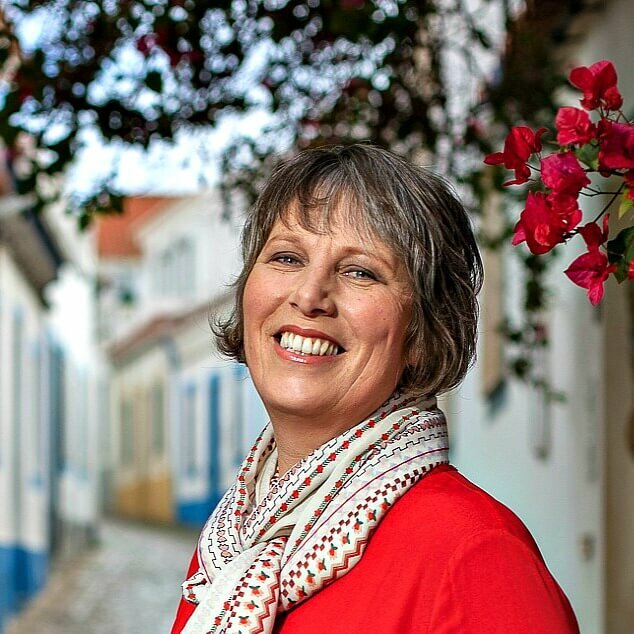 When I first moved to central Portugal, I went on several walks in the Serra da Lousã, each one ending up in a tiny village scattered with cottages made of rust-coloured slate. These Portuguese schist villages are hidden up in the mountains and until relatively recently, they had been all but abandoned as the younger generation migrated to more modern towns with job prospects and the elderly population gradually passed away. Many of the tiny stone cottages lie in ruins, their roofs having collapsed long ago, leaving remarkably small rooms to the mercy of rain and brambles. However, there has been a concerted effort over the last decade or so to preserve and revive the schist villages in central Portugal, with success. Many of the schist cottages have been carefully restored and rebuilt using traditional methods and materials thanks to a partnership with a Norwegian museum that wanted to conserve the knowledge of local craftsmen and propagate it through workshops. I’ve always been impressed by the skill involved in building stone walls; the one in our garden is made from a combination of schist and river pebbles of all sizes and the sides are amazingly flat and even. Not all of the restoration work has been carried out by skilled craftsmen. Some people have done the work themselves or employed local contractors with varying degrees of success. It breaks my heart to see clumps of orange builder’s foam bubbling out from tiny spaces in stone walls and slate roofs. These are old buildings built long before modern conveniences like indoor plumbing and electricity. Their tiny windows and doors and various irregularities can seriously hamper renovation projects. Undeterred, building work continues as people buy up cottages to be used as holiday homes while some are the permanent homes of artists and nature-lovers. The influx of creative people, a widespread restoration project funded by the EEA and ongoing work by organisations such as ADXTUR has breathed new life into these neglected hilltop hamlets. Walking and cycling trails have been marked and mapped out and are generally well-maintained if a little confusing at times. As well as restaurants, craft shops and accommodation there are regular workshops, concerts and exhibitions which draw visitors into the picturesque country settings. Cerdeira, for example, holds an annual outdoor art exhibition each July. Colourful ceramics, sculptures and all sorts of creative goodies are dotted around the village, prompting a thorough inspection of doorways, balconies and windowsills as well as other nooks and crannies scattered around the forested slopes. Here’s the post I wrote about this exhibition, Elementos à Solta (Art Meets Nature), Schist with an artistic twist in Cerdeira. 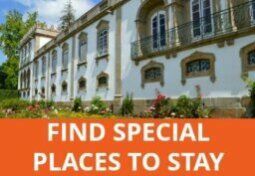 Cerdeira also happens to be one of the villages offering a good standard of accommodation. Check out the Cerdeira Village collection of self-catering cottages. Another arty village, this time just a few kilometres from Miranda do Corvo, Gondromaz has a short trail around the village that’s accessible for wheelchair users. There is a more challenging pedestrian trail through the hillsides but I have tried and failed twice to follow it all the way to the end. If you’re looking for a tranquil retreat, there are a few accommodation options in Gondromaz, the best of the bunch being Mountain Whisper, which has an outdoor pool. Take a look at the photos and check availability. 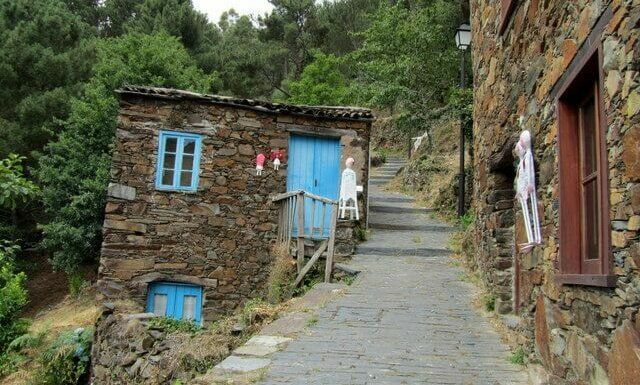 Although part of a different network, the historical village of Piodão is entirely made of schist and also well worth a visit. It has a river beach and several short walks to neighbouring hamlets. Find out more about Piodão’s charms in this post. As the first schist village I ever visited, I have a soft spot for Talasnal. The walk, which starts from the Town Hall (Câmara Municipal) in Lousã or, as I prefer, from the sanctuary near Lousã Castle, is steep. If you want to be sure of lunch when you arrive, either bring your own or book ahead at Ti Lena restaurant as it gets full at weekends. You can actually drive up to Talasnal if the walk sounds too strenuous. I think Candal is the only one of the Lousã schist villages served by bus so you’ll either need a car or a tour to get to them. 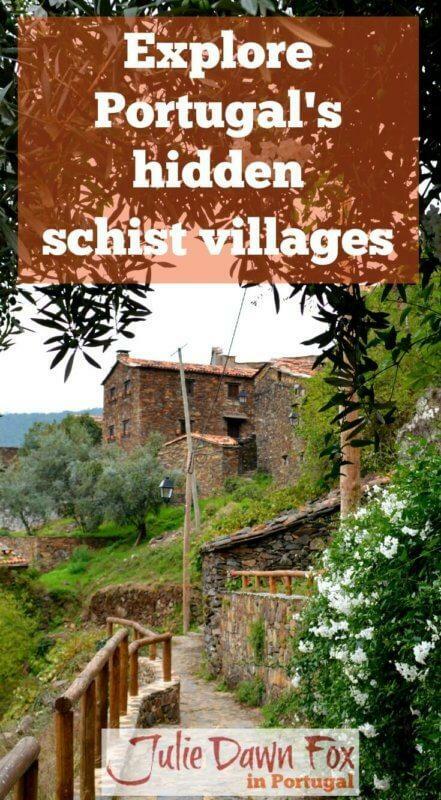 If you like the idea of a village to village walking holiday combined with the chance to learn some local culinary skills and crafts, check out this Hidden Schist Villages Walking Holiday. For more information about the schist village network, including upcoming activities and how to get to them, visit the Aldeias do Xisto website. Loved this post. 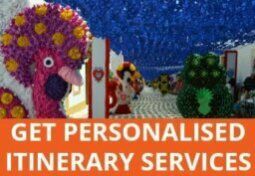 We will be returning tonLusbon for the month of June 2019 and would like to visit one of the villages . What do you recommend for transportation to any one of them? 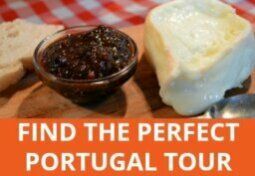 We will be around Obidos in Sept for 2 nights and then 1 night in Aveiro and then driving over to Douro Valley. Would love to visit some of the schist villages. Are any of them close to these towns? What would you recommend and how long of a drive to get there would it be? None are really ‘close’ to the places you mention but you could perhaps incorporate a detour to the Lousã schist villages. Candal is the easiest to get to. Talasnal and Cerdeira are also lovely. Use Google Maps to plot your journey and work out driving times. We are coming to Portugal and only have time for one Schist village hike. Which would recommend: Lousa-Talasnal-Casal Nova or Piodao-Foz d’Egua-Chas d’Egua or something else? Thank you. Of those two, the first is steeper than the other but I would still probably choose it for the views. Very interesting article. Thank you. There is not much material in English. Thanks, Josephine. I went to Foz d’Egua and Piodão very recently and braved the “Indiana Jones” rope bridge from your photo. Even though it was a bad day weather-wise, the countryside is stunning in that area and I’d love to go back on a clearer day to enjoy it to the full. It’s such a lovely colour, Jo. Before coming to Portugal, I assumed that all slate was grey, like the stuff in Blaenau Ffestiniog in Wales (one of the most miserable towns I’ve ever been to, by the way – it ALWAYS rains there!). I much prefer the warmer tones that you get around here. And yes, once they’ve been done up, some of these cottages make very cosy little retreats.